ZDMT will attend the coming 117th Canton Fair - ANHUI ZHONGDE MACHINE TOOL CO., LTD. Date: Phase 1 2015-4-15 to 2015-4-19, 9:00 to 18:00. 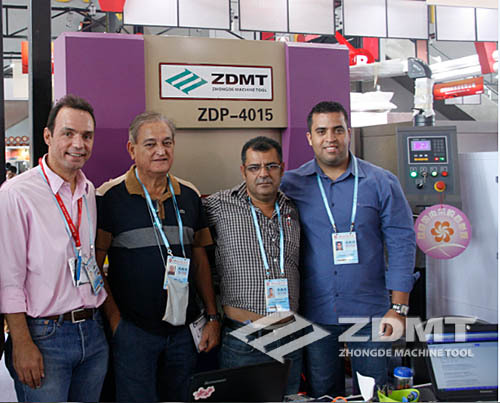 In the past Canton Fairs, ZDMT machines always attracted many customers, some customers even confirmed the orders and made down payment at sight . Welcome all the friends, new and old customers to our booth!